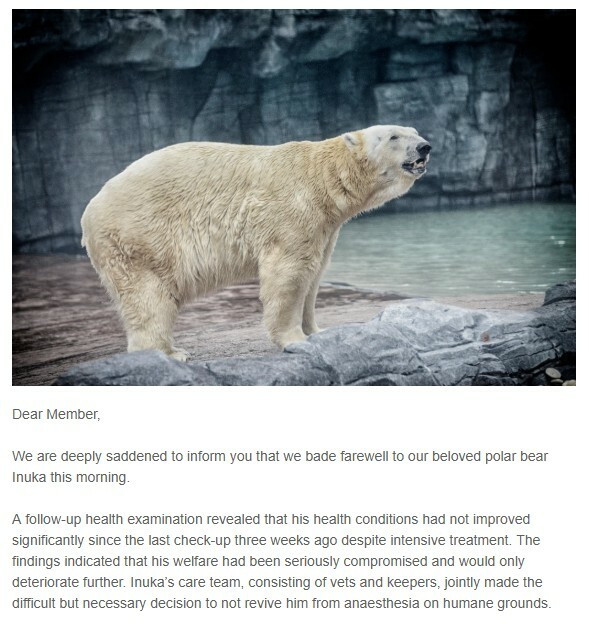 As I read how they had euthanized Inuka, I wonder in the face of slowing economic growth, severe financial constraints and general hopelessness would we not one day be mercy killing people as well? It is unthinkable now but the unthinkable will have to become thinkable when forced by circumstances. I was so piqued by how succinctly Marissa Mayer put this across in the NYT interview. "Management by yelling" that is how Google operated as startup. I had read about how tough Marissa Mayer was as a boss at Google and later Yahoo. Civility comes much later and then now given their global reach, fighting the ills of bureaucracy must have been a huge challenge. How to get promoted? "I always knew what Larry and Sergey wanted". That has never changed. It was true even before our specie learnt how to read and write. Eight years already. 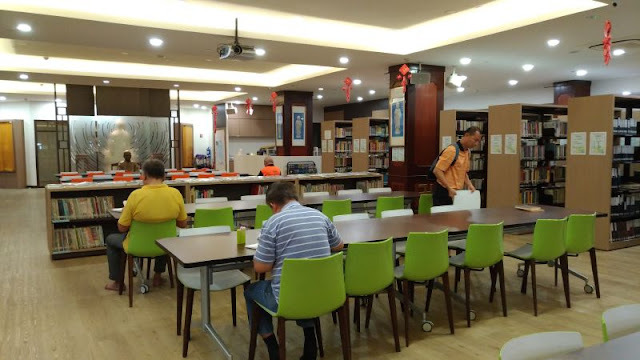 I finally made it to the library at the Buddhist Lodge a couple of months ago to see what it was like. He has spent countless hours here and had learnt so much. Now that I also try to read up on this as well, sometimes I said to myself: I am reading what I had heard from you before. Some of my primary and secondary school classmates have begun to pay more attention to their Buddhist faith. I think people develop a keener interest in spiritual matters as they age, not only to understand what their lives had been but also what is coming. They embrace Buddhism very differently from their parents. I sense they are doing it more like what my father had. Governments all over the world, ours no exception are behind the curve on public safety issues: Wait for many more people to be injured before they do more. However if an increasing number of people take extraordinary precaution or even stay away from pavements and walkways then there would be fewer such incidents as well. This is silent bullying. In future one feature of being smart nation is that E-scooters and PMDs might have speed and location trackers on them. If you ride dangerously you will be booked before you can injure anyone including your reckless self. Sure there would be push back on such a proposal over the issue of privacy. Where do we draw the line between personal and public freedoms? Note that nobody except some software is interested in your speed and movement until you become too interesting that the system begin to notice. Look, the electronic ink on my original post hasn't even dry yet! Speed thrills especially when you do not need to put in the effort (the battery is doing it). It is just irresistible and there will be a disproportionate number of riders who would go too fast. Who is there to stop them when they do until they either crash or more likely ran into some poor pedestrian? To be practical but just very annoying, pedestrians should be looking out for these speedsters as well. Those reckless riders have a false sense of safety and you cannot count on them for your own well being. I am interested in this story because it lists the recent incidents. I think has become an every day problem as no every accident is covered by the media. I support Dr. Thum as a professional historian but for meddling in our domestic politics with foreign help, definitely not. Took this picture whilst waiting for my turn for the service adviser. I have not been here for more than a year. Used to send the car here every four months. Fourteen months and I had barely done 10,000 km. Next year gotta to decide to give up the car, renew COE or replace it. I haven't done the homework on which is best. I think the default is renewing the COE especially when the car is driven so little. But if the COE prices become stupid then getting a new one might be attractive although financially it never makes sense. The most sensible option is actually to give up the car and tell the one still in school to Uber/Grab to and from NUS eh? I am too busy to look at this now but I like the sky blue on the left and the dark grey on the right best. Meanwhile I have signed a one year service package with them. Since someone served me the link to check if my information and activities on Facebook had be tapped upon by Cambridge Analytica, I decided to give it a try. I would love to see Cambridge Analytica crash and burn for their depravity. As for Facebook, it is hard for users to leave. I am as good as RIP on Facebook but I have not left my "grave" either. To another friend I wrote that Facebook is like a company you work for and no longer like and you are looking to change jobs. It takes a while but once an attractive offer is available, you will quit and join the other firm. The best days for Facebook is behind them. Kitchens not for cooks eh? 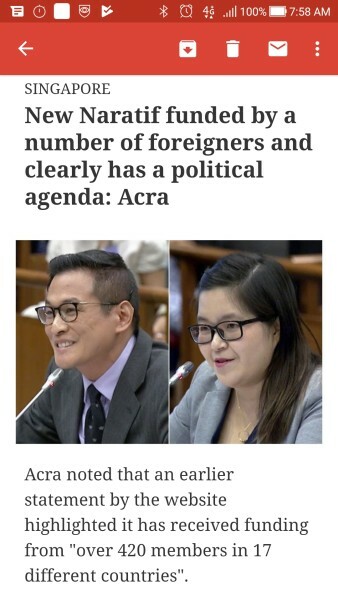 What rubbish was Desmond Lee and Janil Puthucheary spewing? I let some of the comments do the talking for me. Well said Janice Lee. Clearly LKY would not approve how the tribe of PAP is appropriating his name and legacy. They are not good enough to stand on their own they wanted LKY as their crutch but we are not clueless and will not accept any of these tricks. That is from LHY Facebook page and this post is recording what I told my children yesterday. I told them why a large country or even a group of islands like Japan is different from city states. The reason is quite simple although I have never heard it explained. You can't relocate China, India, Indonesia, Australia or even Japan. However just take the example of China, its capital has been moved many times and what is a capital but the most important city of a country or empire. So that is the challenge for Singapore, a city state. As a city it cannot be anchored must less be permanent. It always have to defend, adapt and if necessary find new reasons to be where it is. A city must be 100% adaptable. In other words no structure is sacrosanct. You can gazette an old building as a monument but unlike in large countries, we must be prepared to tear it down when it becomes necessary. The life of a city if it wants to last the longest time is a brutal one. If necessary it must be prepared to completely abandon its past and only let history remember it. That is why LKY recommended that his house be demolished. It is part of a hard value system that is necessary for the long term survival of this place. Adapt or perish even if it means you become unrecognizable in the process. Unfortunately we have leaders who a small on courage and big on giving themselves As for performance. The PAP want to use 38 Oxley Road for its self interest. In this instance it is completely inimical to the interest of our children teaching them the wrong values for their long term security. Today they are experts, tomorrow they are just some artificial intelligence application. Within their narrow view they offer you their professional opinion. It is up to us to consult our moral compass on what to do. I say again, let LKY final wish be granted him. Demolish the house.